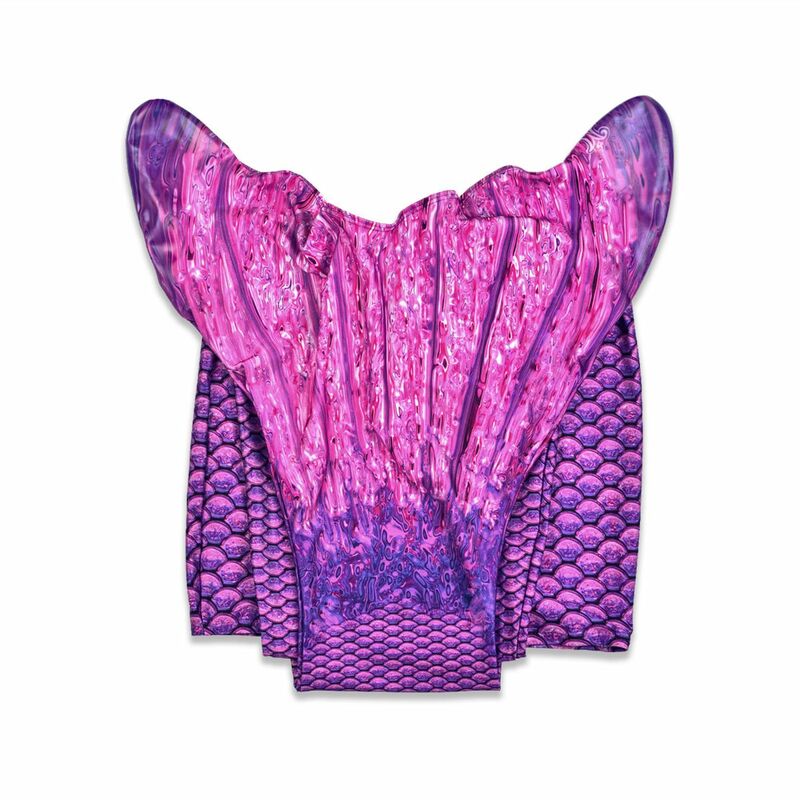 Want to feel like a regal mermaid princess? 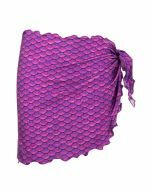 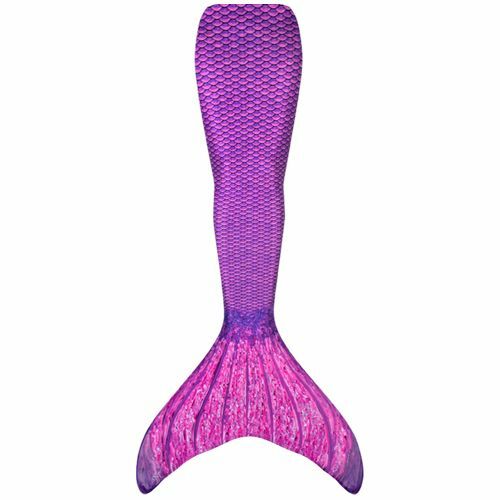 Jia's Asian Magenta Mermaid Tail is an elegant and majestic purple swimmable mermaid tail for kids and adults that conveys true mermaid style. 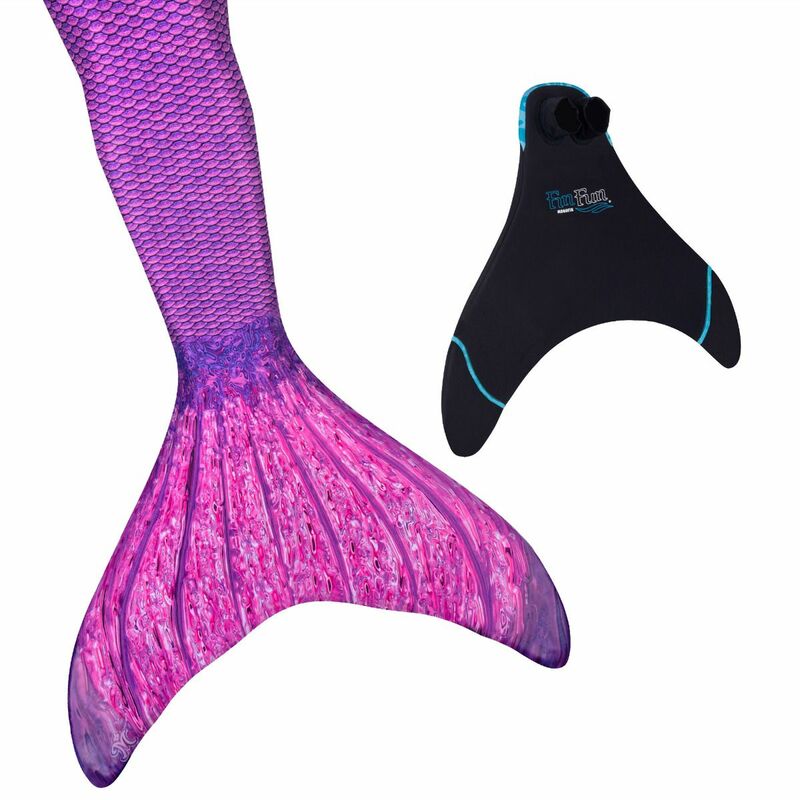 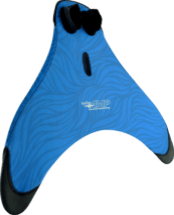 You'll shine like an amethyst as you glide through the water in this tail designed for mermaid royalty! 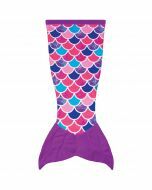 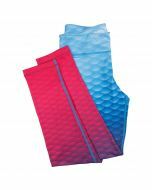 Graceful and fun, this eye-catching swimmable mermaid tail starts as blue, deepens to purple, and merges into a bright pink 3D fish scale pattern designed exclusively by Fin Fun! 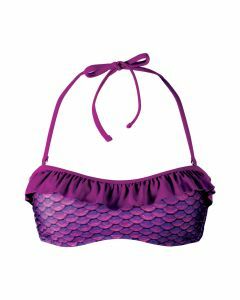 You’ll be captivated by the realistic look of the scales as the colors deepen when the fabric gets wet. 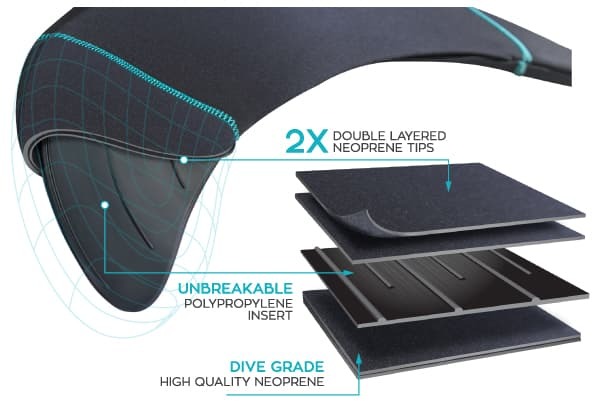 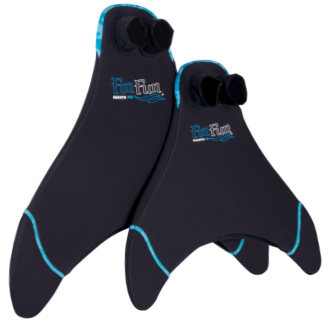 Looking to experience true comfort while mermaid swimming? 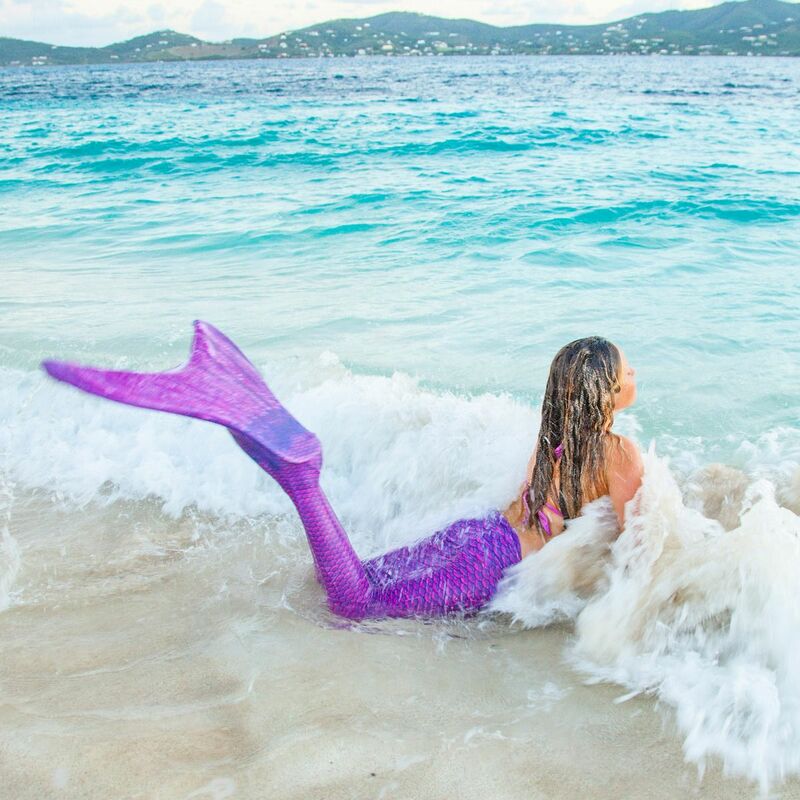 Our tail is made from a stretchy swimsuit fabric that comfortably shapes to the body for a true mermaid look! 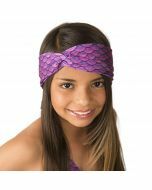 Mermaiden Jia is a caring and helpful mermaid princess who uses her special powers to heal others. 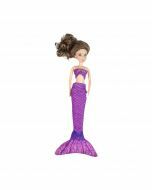 With her adorable FinFriend Akiko the Seahorse at her side, Jia and the other Mermaidens® experience life at its fullest! 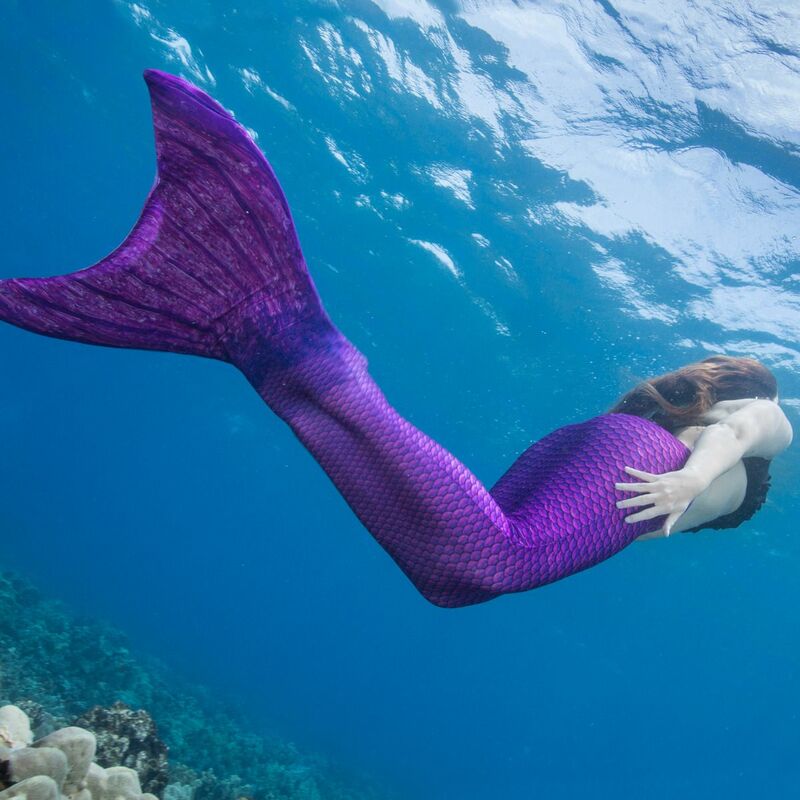 Play free games, read mermaid stories, and learn more about Jia by visiting www.finfriends.com.